Communicating Risk in Your Organisation? Communication of risk is vital. 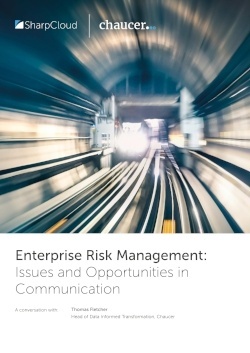 Poorly communicated risk information can expose the business to greater dangers. No matter how good your risk communication processes, the intended audience may not always understand. We conclude with a case study examining how one business overcame its risk communication issues to achieve great success with the 'risk bowtie' method. To get your copy of this invaluable risk management guide, simply fill in the form.